Automotive manufacturers, including Toyota, recently took the decision to close their plants in Australia and relocate production to other parts of the world. Given the complexity of the moves, the freight forwarders wanted to explore every available shipping option, including RoRo. 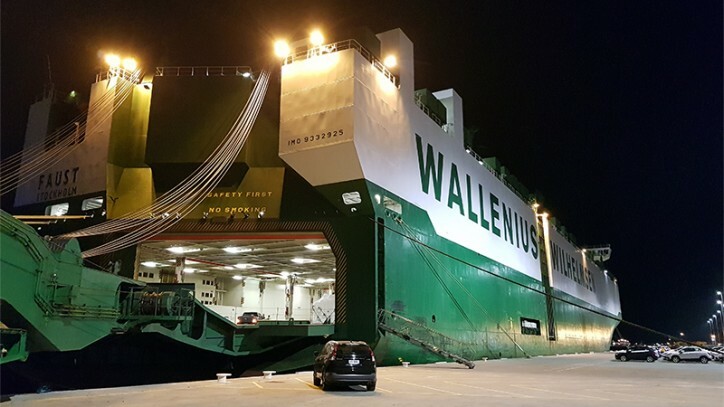 “They had limited experience with RoRo, so this was a good opportunity to teach them how well-suited RoRo is for shipping breakbulk,” explains Wallenius Wilhelmsen Ocean (WW Ocean) Sales & Account manager Angelo Gnanasigamony. “They were pleasantly surprised when they realised there was no need to break down the whole plant into individual containers,” Angelo adds. WW Ocean is now in the process of shipping major pieces of machinery from the production lines to destinations across the world. Relocating entire automotive production facilities across the globe is not a decision to be taken lightly. There are so many factors to consider in such a decision: global industry trends; the potential cost and efficiency savings of moving; future demand forecasts; and of course the loss of jobs, and impact on the local community. But one complex factor rarely mentioned outside the boardroom is the complexity and cost of the move itself. An automotive production line is a big investment that can’t just be abandoned, yet reselling is difficult given the nature of the industry. It’s cheaper and easier, therefore, to shift the equipment to the new destination, even when that plant is on the other side of the globe. As this wasn’t a straightforward A to B shipment, the liner service concept was also a deciding factor. 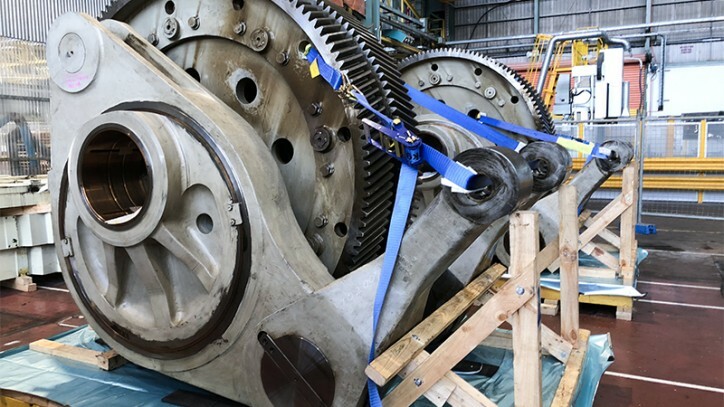 While most of the larger equipment is moving overseas, some of the smaller machinery is up for auction in Australia and open to international buyers. The factory equipment is being shipped primarily to new locations in the Americas and Europe, but some key pieces are bound for Japan to be refurbished. Given the importance, high-visibility and total value of these moves, WW Ocean representatives were involved in the project at every level, from participating in high-level meetings with senior stakeholders to putting on overalls and visiting the factories. Customer representatives visited a WW Ocean vessel to see the benefits of RoRo at first-hand. The only alternative to RoRo is to spend a small fortune breaking down large machinery into smaller, container-sized pieces. “Not only is that expensive but it risks quality issues upon reassembly. Involving our port captain, to show the freight forwarders the value in consolidating fully-built breakbulk pieces on a single trailer, was an important part in the process,” says Angelo. When the WW Ocean team saw that some cargo had already been crated for a typical container shipment, they stepped in to save the client time and money. “It’s not an optimal process for RoRo. 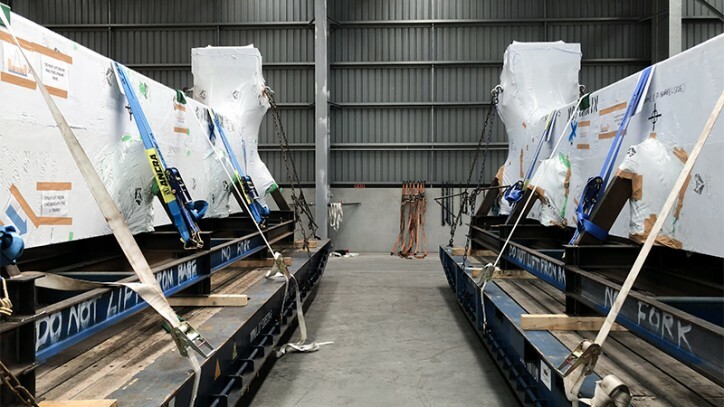 We recommended shrink-wrapping the cargo and using pre-fabricated lashing points as the best solution for the overall shipment, including the road transport section,” says Angelo. 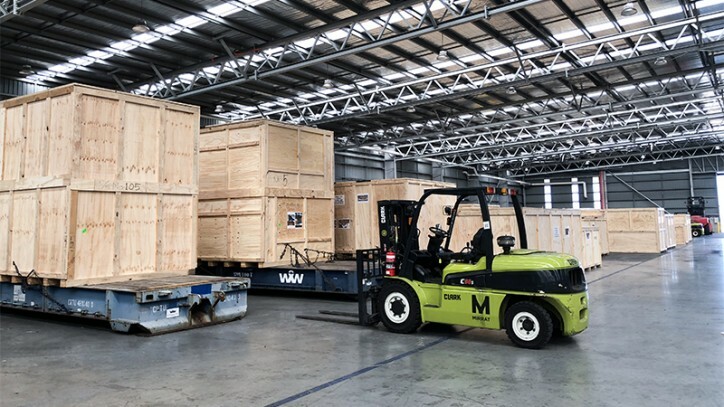 Despite the extreme size and weight of some of the factory equipment, WW Ocean can roll the cargo on and off the ship using their standard handling equipment at the Port of Melbourne, including 40ft roll trailers and fork-lifts. 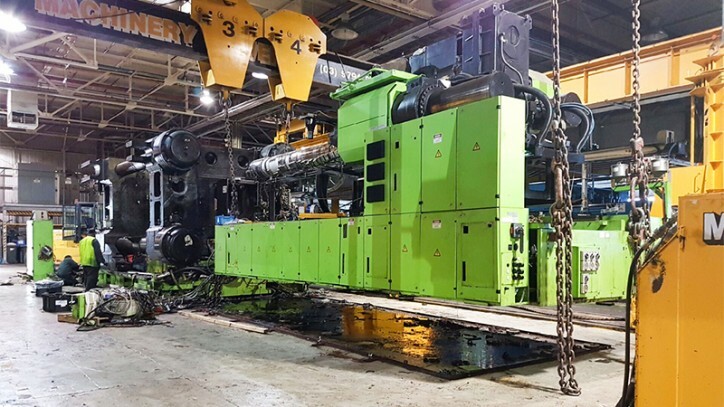 Heavy compression moulding presses, the machinery used to turn out car parts from metal alloys, were lifted on to 30ft roll trailers that can hold up to 140 tonnes. All cargo was placed on rubber mats for extra protection and securely lashed before being rolled on board the vessel. Angelo believes the success of these high-profile factory moves will turn heads in Melbourne’s container-focused market towards the benefits of shipping breabulk with RoRo.